Our superb fitness suite has over 30 stations of equipment. We have a full range of cardiovascular, resistance and free weights. With full air conditioning and audio visual equipment you can be assured of a comfortable workout with us! Whether your goal is to lose weight, tone up or just to feel better in yourself, one of our fully qualified instructors will be on hand to help you get the most out of your session. Our superb 33m pool (25m + 7m tank) has a wide range of sessions throughout the day and evening for both children and adults. Whatever your ability in the water we have something for everybody to enjoy. 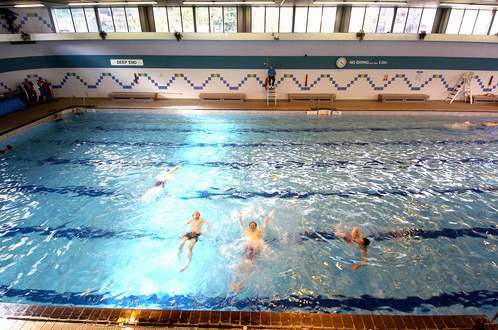 The pool provides a multitude of sessions including general swimming, lane swimming, inflatable fun and much more. For the more competitive swimmer Carlisle Aquatics Club train here during the week. The 10m pool is perfect for tots and younger children to gain their confidence in the water with its big gentle steps down into the water. Our 20m pool is used predominantly by schools and for swimming lessons but is open to the public during the weekends from 10am and during the school holidays. 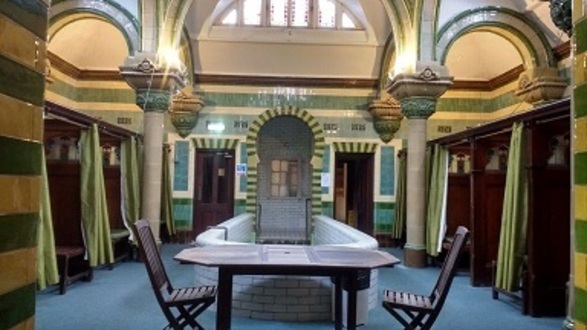 It is also home to ladies only sessions, adults only sessions and disability swimming sessions. We also host water workouts, parent & tot sessions and our superb inflatable party sessions! Step back in time and relax in our Health Suite complete with sauna, steam room, plunge pool and lounge area. There's no better way to unwind after a swim, or a gym session.